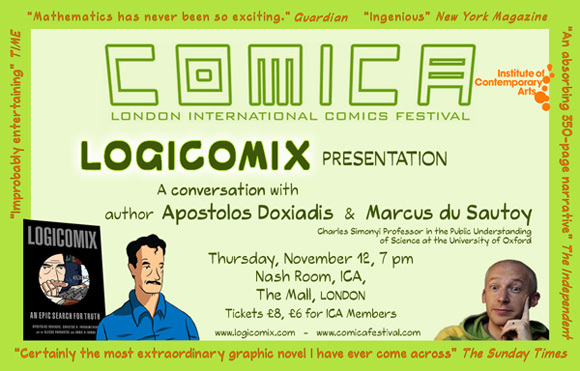 Apostolos will speak with Marcus du Sautoy about Logicomix at the Comica Festival at the ICA in London on November 12. Marcus du Sautoy is the Charles Simonyi Professor in the Public Understanding of Science at Oxford, the chair previously held by Richard Dawkins. More info at the Comica Festival site.